The tools have different mechanisms of generating the traffic report. 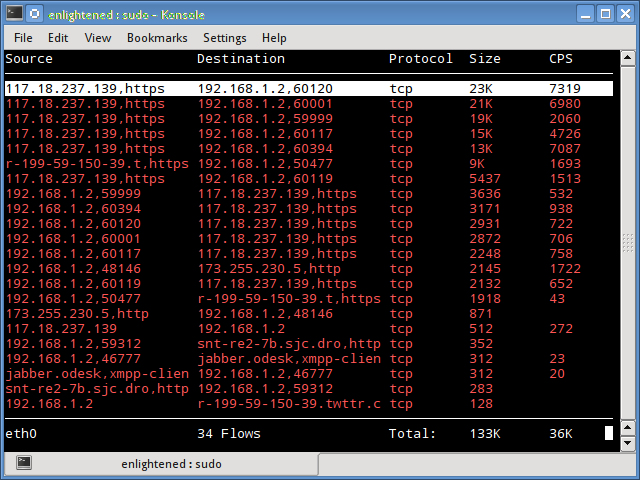 Some of the tools like nload read the "/proc/net/dev" file to get traffic stats, whereas some tools use the pcap library to capture all packets and then calculate the total size to estimate the traffic load. Installing Nload - Fedora and Ubuntu have got it in the default repos. CentOS users need to get nload from Epel repositories. Install iftop - Ubuntu/Debian/Fedora users get it from default repos. CentOS users get it from Epel. 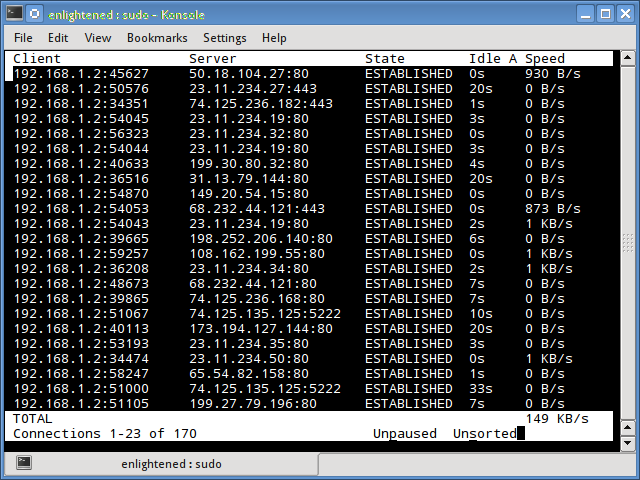 Nethogs is a small 'net top' tool that shows the bandwidth used by individual processes and sorts the list putting the most intensive processes on top. 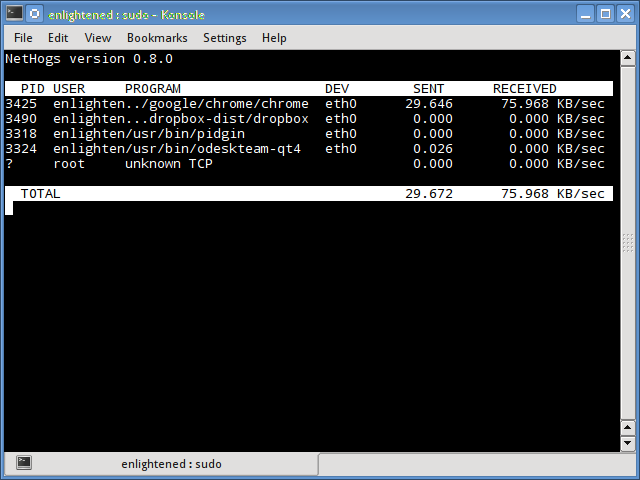 In the event of a sudden bandwidth spike, quickly open nethogs and find the process responsible. Nethogs reports the PID, user and the path of the program. Install Bmon - Ubuntu, Debian and Fedora users can install from default repos. CentOS users need to setup repoforge, since its not available in Epel. 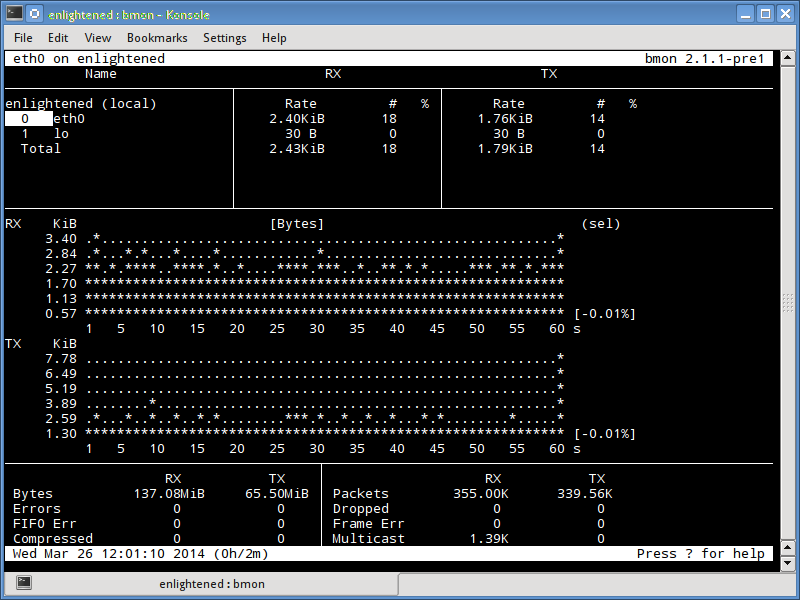 Slurm is 'yet' another network load monitor that shows device statistics along with an ascii graph. It supports 3 different styles of graphs each of which can be activated using the c, s and l keys. 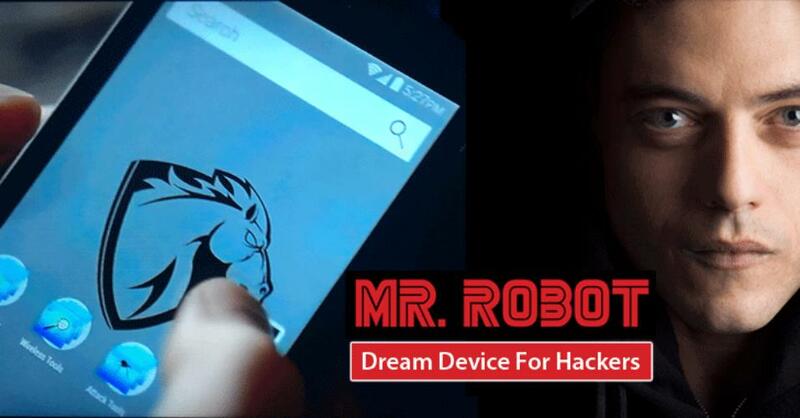 Simple in features, slurm does not display any further details about the network load. 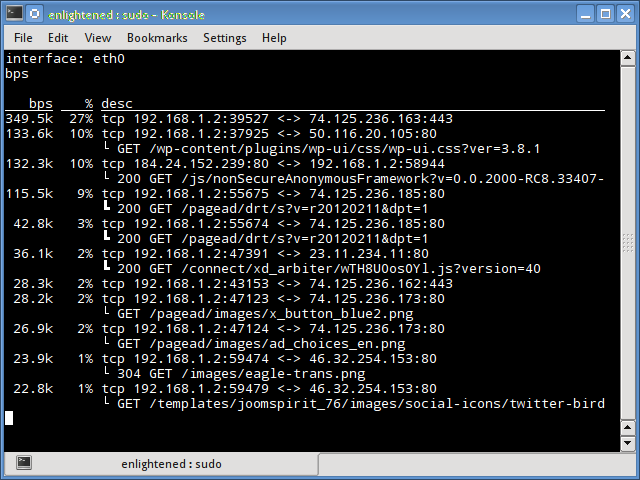 Install tcptrack - Ubuntu, Debian and Fedora have it in default repos. CentOS users need to get it from RepoForge as it is not available in Epel either. 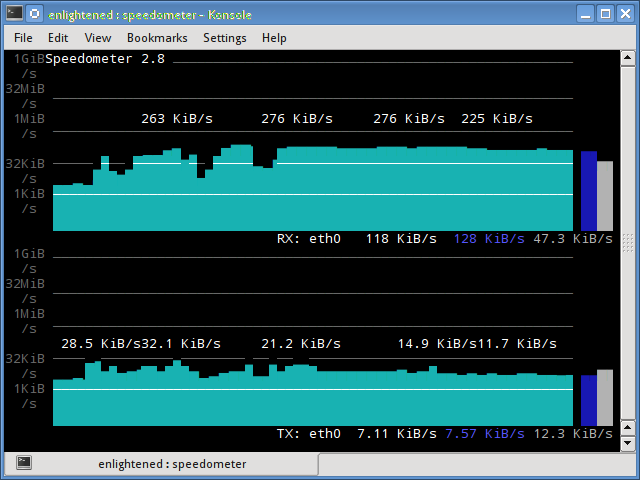 To monitor the bandwidth usage in realtime, use the '-l' option (live mode). It would then show the total bandwidth used by incoming and outgoing data, but in a very precise manner without any internal details about host connections or processes. 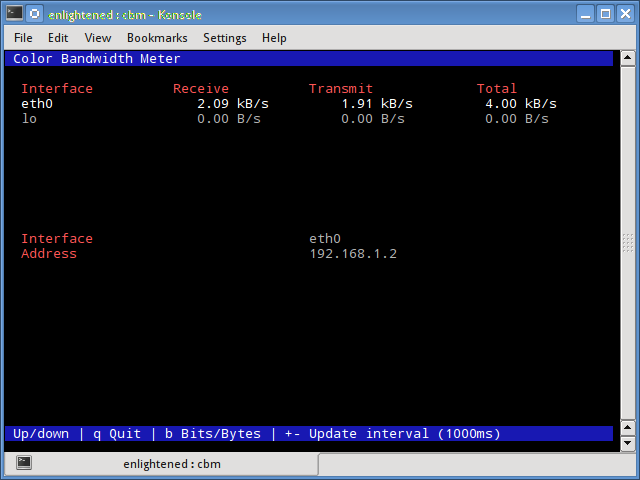 Install Bwm-NG - On CentOS bwm-ng can be installed from Epel. Install ifstat - Ubuntu, Debian and Fedora users have it in the default repos. 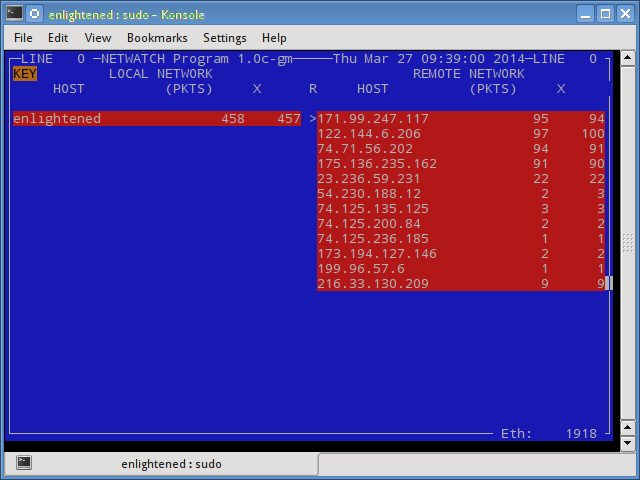 CentOS users need to get it from Repoforge, since its not there in Epel.